Since the Cuban sanctions went into effect decades ago, the Treasury Department had to sign-off on any Cuban citizen working in the U.S., and rarely did. Cuban players interested in playing in the MLB therefore would defect and setup residency in a third country—typically in Central American—before they could sign with a major league team. This dangerous journey was usually facilitated by extremely sketchy agents and extremely scary human traffickers, as demonstrated in the story of how Yasiel Puig ended up in the MLB. As the New York Times notes, while MLB teams might legally be allowed to sign Cuban players starting in about 15 minutes, practically there are still a number of issues to work through. MLB officials have been negotiating with Cuban baseball officials for months to setup a system for Cuban players to come here, and American regulations mean very little if Cuban travel and work regulations don’t also change, and if Cuba/Cuban baseball teams aren’t compensated for the loss of their players. 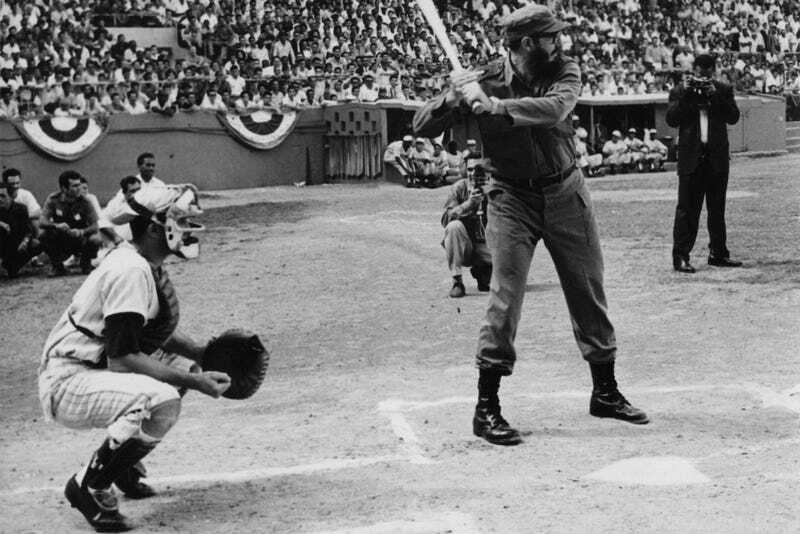 Next week the Tampa Bay Rays will play an exhibition game against the Cuban national team in Havana, the first time an MLB team has visited the country since the Orioles did in 1999, and only the second time since the Cuban revolution in 1959. President Obama will attend.